Tanzanite is a blue to violet variety of zoïsite discovered in 1967 in Tanzania. It is often found in the form of a transparent gemstone. The colors of tanzanite result from the presence of traces of chromium and vanadium and its deep blue comes from a heating treatment. The tanzanite is traditionally related to the 24th wedding anniversary. The tanzanite was discovered very late: it was totally unknown until the 1960s. The legend of their appearance varies according to the version, but in sum, violent storms would have lit bush fires on the hills of Merelani, not far from Famous extinct volcano, the Kilimanjaro. The shepherds who had fled away from the sinister finally came back: it was then that they discovered the blue pebbles, originally gray-brown, transformed by heat into superb blue gems. 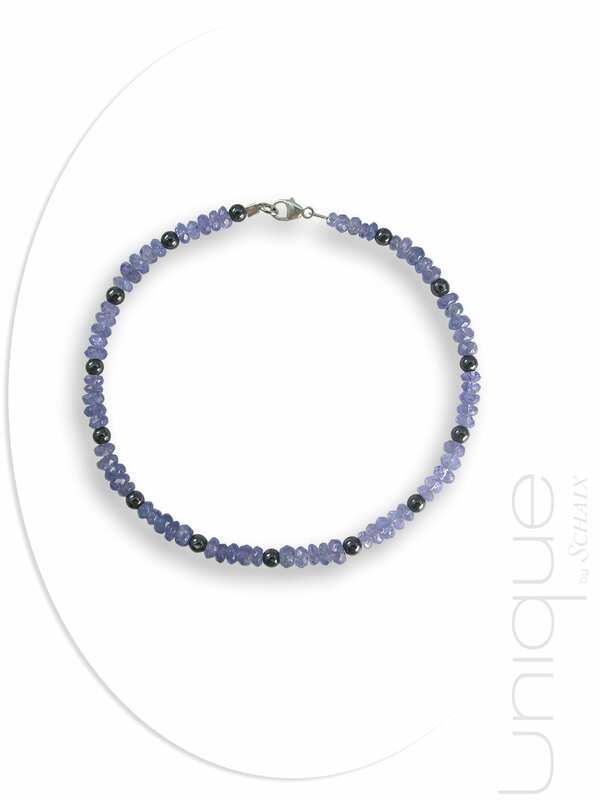 Tanzanite stimulates imagination and creativity and is an ally of artists, writers, musicians and other creators. It increases memory and intellectual curiosity.